Long before Turkey was flagrantly arming and funding the CIA-created “terrorist organization” known as ISIS, there was another, far more elaborate way in which Turkey was flaunting international sanctions against an ostracized state – in this case Iran – which involved an epic gold smuggling triangle of Hollywood-thriller proportions, all made possible thanks to the United Arab Emirate city of Dubai. Best known known for its luxury shopping, ultramodern architecture including the world’s tallest building, a lively nightlife scene, and a facade of openness and decorum, what Dubai is less known for is its unprecedented seedy underbelly of corruption and untouched criminality among the handful of billionaire oligarchs, princes, sheiks and sultans, who quietly dominate the local (and global) power and financial structure. It may seem like a distant memory now, but just a few short years ago, instead of a close ally of Barack Obama, Iran was a pariah state subject to international financial sanctions due to its nuclear program development, one which Israel had repeatedly (and famously) threatened would attack preemptively to prevent Iran from obtaining a nuclear weapon. Iran, of course, had no choice but to find ways to keep its economy going, and in order to circumvent these sanctions, it resorted to the oldest trade currency known: gold. This, in itself, is not surprising. What is surprising is how and with whom Iran collaborated to breach the international embargo in order to obtain this valuable and much needed gold, which it could then barter with other countries – notably those along the Pacific Rim – in exchange for any and all needed products and services. A Reuters article from October 23, 2012 explained, in broad terms, just how Iran’s intricate smuggling operation worked. To see one of Iran’s financial lifelines at work, pay a visit to Istanbul’s Ataturk International Airport and find a gate for a flight to Dubai. Couriers carrying millions of dollars worth of gold bullion in their luggage have been flying from Istanbul to Dubai, where the gold is shipped on to Iran, according to industry sources with knowledge of the business. “Every currency in the world has an identity, but gold means value without identity. The value is absolute wherever you go,” said a trader in Dubai with knowledge of the gold trade between Turkey and Iran. So three years ago, Turkey was purchasing Iran oil and paying in gold. Now it is purchasing ISIS oil and paying in dollars, for the simple reason that there is no banking embargo against the Islamic State like there was against Iran in 2012. One almost wonders why the international community was far stricter with Iran than it is with ISIS now. Anyway, continuing on, we present: the Dubai connection. In March [of 2012] as the banking sanctions began to bite, Tehran sharply increased its purchases of gold bullion from Turkey, according to the Turkish government’s trade data.Direct gold exports to Iran from Turkey, long a major consumer and stockpiler of gold, hit $1.8 billion in July – equivalent to over a fifth of Turkey’s entire trade deficit in that month. Turkey exported a total $2.3 billion worth of gold in August, of which $2.1 billion was gold bullion. Just over $1.9 billion, about 36 metric tons, was sent to the UAE, latest available data from Turkey’s Statistics Office shows. In July Turkey exported only $7 million of gold to the UAE. At the same time Turkey’s direct gold exports to Iran, which had been fluctuating between $1.2 billion and about $1.8 billion each month since April, slumped to just $180 million in August. “The trade from Turkey directly to Iran has stopped because there was just too much publicity around it,” said the trader. However, instead of suddenly having a craving for Turkish gold, Dubai was merely a middleman which would then resell Turkey’s gold to Iran, in exchange for a very generous commission. Dealers, jewelers and analysts in Dubai said they had not noticed any large, sudden increase of supply in the local gold market during August. They said that suggested the increased shipments to the UAE were sent straight on to Iran. A trader in Turkey said Tehran had shifted to indirect imports because the direct shipments were widely reported in Turkish and international media earlier this year.“Now on paper it looks like the gold is going to Dubai, not to Iran,” he said. Fear not: if the Erdogan family was guaranteed, say 5% of the total transaction price, it would gladly close its eyes, even if it meant the Ayatollah singing lullabies and war chants to Assad in his bedroom. Turkish trade data confirms the gold is being transported to Dubai by air. According to the data, $1.45 billion of Turkey’s total gold exports in August  were shipped through the customs office at Ataturk airport’s passenger lounge. Almost all of the rest, $800 million, were shipped from Istanbul’s smaller Sabiha Gokcen airport. Turkey’s total exports of all goods to the UAE totaled $2.2 billion in August. Of that amount, $1.19 billion were registered at the Ataturk passenger lounge, while $776 million were registered at Sabiha Gokcen. “It is all legal, they declare it, they give their tax number and it is all registered so there is nothing illegal about this,” the broker said. As the minister in charge of Turkey’s $800 billion economy in 2013, Zafer Caglayan was facing a series of numbers that didn’t bode well for coming elections. Inflation was up, growth was slowing and the lira was weakening. One key measure of financial health was particularly worrisome: the country was importing far more goods, services and capital than it was sending abroad. By October, when he was interviewed by a local CNBC affiliate, Caglayan described the gap as unsustainable and said the government would take steps to improve it. What he didn’t mention was a clandestine export-boosting operation started up more than a year before that was helping to solve the trade imbalance. At the time of the television appearance, it was still underway. Three weeks before, Caglayan had been secretly taped by national-police investigators telling his collaborators to find a way to increase exports by at least $1 billion a month. His orders came from the topin a two-hour meeting with Prime Minister Recep Tayyip Erdogan, he told an associate. The operation featured an Iranian-born businessman who liked fast horses, faster cars and the fastest planes. His unique skill: Getting gold into sanctions-encircled Iran. Enough gold that for a time he became the government’s key instrument in improving Turkey’s irksome economic imbalance. How a team that included Turkey’s economy minister sought to manage the current account deficit, as the gap is called, by juicing exports to Iran is laid out in a 300-page document prepared by Turkish investigators in 2013. Caglayan and his collaborators also came away with tens of millions of dollars in bribes, according to the document, which has been cited in parliament by opposition lawmakers. Caglayan resigned on Dec. 25 as economy minister after the investigation became public, is immune from prosecution as a member of parliament. Erdogan, whose bribes from this operations were in the hundreds of millions of dollars, did everything in his power as then-prime minister to kill the probe and decried the inquiry as an “attempted coup”, a card he has pulled every single time some political probe gets too close to his unprecedented financial crimes, which have a recurring pattern: sell goods and services to an organization isolated by the international community, and pocket tens or hundreds of millions in “commissions” and bribes in the process. Since then Erdogan has made Turkey his personal despotic fiefdom, and after serving as prime minister from 2003 to 2014, he was “elected” president in which role he serves to this day. There is not a soul in Turkey who poses any political threat to Erdogan, whose vast plundered financial fortune assures that the army would be on his side even in a military coup scenario. In any case, the spice, or rather gold, flowed. As Bloomberg confirmed in 2013, “the covert efforts that Caglayan and his associates undertook eventually swelled to a multi-billion dollar enterprise that reached from Ghana to China, according to the investigation. Tons of gold flowed from Turkey to Iran, much of it via Dubai. That freed up Iranian money trapped in Turkish banks, in turn boosting Turkish exports. In an interview with television channel A Haber, Sarraf estimated he had facilitated the transfer of about $12 billion in gold — about 200 tons — to Iran. That represented “about 15 percent-15.5 percent of the current account deficit that I closed by myself,” he said. He didn’t say what period he was referencing. “There’s a serious benefit to the Turkish economy with profit that’s gone into state coffers,” he told the interviewer. Ultimately, this unprecedented in its vast scale and scope gold smuggling operation, which stretched as far as China, Moscow and Azerbaijan, faded: in July 2013 the U.S. added precious metals to the list of items that couldn’t be sold to Iran as part of an effort to curtail that country’s nuclear enrichment program. All of this has been publicly known so far. What follows is being reported for the first time. While in 2012 and 2013 the world’s attention was focused on Iran and Turkey, with both Reuters and Bloomberg scrambling to find the involved parties, nobody paid any attention to the key middle-man responsible for billions in smuggled gold, Dubai. And while the main Turkish actors and beneficiaries of this gold smuggling have been extensively documented, nothing at all has been written about any of the Dubai intermediaries who also made hundreds of millions, if not more, simply for facilitating the move of gold from point A to point B. Which is strange, because for anyone doing even a little cursory digging, the answer was there in broad daylight all along. Presenting Mohammed Abu-Alhaj: the key Dubai “connection” in the Turkey-Iran gold smuggling triangle. Mohammad has many years of vast experience in the finance and financial technology industry. He began his career establishing an e-commerce business in the United States followed by another e-commerce of a different trade. He then moved on to Dubai in the early 2000s to establish a brokerage firm. Following its success he was a major shareholder in its subsidiaries across the MENA region. Meanwhile he has set-up, directed and operated many entities in the online trading of financial products, and now gold and precious metals. Mohammad is very resourceful and possesses many highly qualified skills; he has developed innovative platforms for online trading, effective management and leading skills and he is thorough in analyzing problems and finding creative solutions. Mohammad’s latest accomplishment is the set-up of the Gold AE DMCC and its subsidiaries across the region, Switzerland and Africa, one of the first online trading entities for deliverable gold and silver, and Islamic dinars and dirhams in the United Arab Emirates. Presently, Mohammad is the Founder, Chairman and Managing Director of Gold AE. He is also the deputy Chairman and a board member of Abu Alhaj Holdings, registered in the Dubai International Financial Centre. … ironically written on October 23, 2012, the same day as Reuters first exposed Turkey’s role in this epic gold smuggling triangle. Mohammed Abu-Alhaj, vice chairman and chief executive officer of his Dubai-based family-owned Abu-Alhaj Holding, first visited Turkey as a tourist in 2004, and explored the economic possibilities of the country. “I saw stability had started to take hold in the nation. Turkey was a highly productive country. I was certain it would become among the top emerging markets for years to come,” the 40-year old businessmen reminisced in an interview in Istanbul on Saturday. Soon he acquired a Turkish brokerage house, Ikrisat Yatirim, through the Savings Deposits Insurance Fund (TMSF), a state banking receivership fund, for S15 million, and became one of the first Arab Investors in Turkey. In 2009, he sold the brokerage house to Dubai Holding. He then established in Istanbul’s Atasehir financial district the company Altin 24.com, an on-line gold trading company. Altin 24 serves as the Istanbul office of his regional gold commerce company Gold.AE. He also founded a store in Istanbul’s Covered Bazaar, the main gold and jewelry market of Turkey. 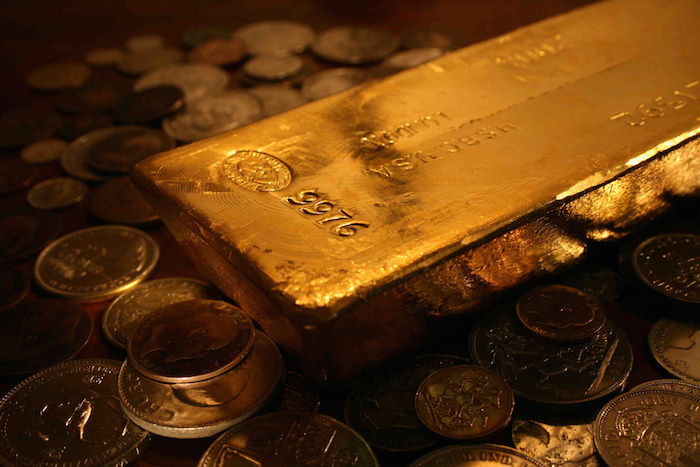 Altin 24 provides full services in gold bullion and certificates trading for Turkish clients. Although he employs only nine persons in Turkey, his Altin 24 has already carried out $700 million in gold trading in the country. Istanbul and Dubai are the world’s two biggest centers for gold trade. He has been successful so far. Although once shy of secular Turkey, Arab investment has been pouring into Turkey since Prime Minister Recep Tayyip Erdogan’s moderately Islamist Justice and Development Party came to power a decade ago. Mr. Abu-Alhaj’s father found Abu-Alhaj holding as a logistics company and then went into industry. The group, which he still runs with his five sons, now has investments in technical textiles, pharmaceuticals, agribusiness, real estate development, investment banking and tourism in seven nations: Dubai, Jordan, Kuwait, Saudi Arabia, Switzerland, Yemen and Turkey. A graduate of computer science and information technologies from Concordia University in Montreal, Quebec, Canada, he worked on Wall Street during the dot.com bubble that led to the collapse of hundreds of technology upstarts. He returned to his homeland to run the family business. Mr. Abu-Allhaj believes that the decision of Turkey’s Central Bank to allow depositors and banks to hold gold accounts has helped the country distance itself from the economic crises gripping the world. “Gold accounts will save the country from the crisis in international markets that will happen for sure” he asserted. He may be right about that, but it is everything else that has raised a red flag. Incidentally, those curious can read much more about Abu-Alhaj’s push into Turkey’s gold market in the Press section of his Gold.AE website. But just who is Gold Arab Emirate, or Gold AE, based out of Dubai? We ask because we – like most of our readers – had never heard of this company before. Perhaps the company’s biggest claim to fame was thefirst gold ATM it introduced in the Emirates back in 2010, to much media fanfare. Ok, so they make gold ATMs. What else? For the answer we go straight to the company’s website. Gold Arab Emirate, Gold AE is the first corporate entity in Middle East incorporated in Dubai – UAE, for E-Commerce of Gold & Silver bullion being its core commercial activity.Gold AE is conducting its operations under the commercial license # DMCC 30821, issued by Dubai Multi Commodities Centre (DMCC). DMCC is a Dubai Government’s initiative to monitor and facilitate the trading in precious metals. In addition to its presence in Dubai, it has branches in Abu Dhabi (UAE), Jordan, Turkey, Switzerland and affiliations in Qatar, Saudi Arabia and Egypt. Gold AE is led by an experienced team of seasoned bullion professionals which gives it a competitive advantage over contemporary firms in the market and gaining a remarkable reputation as an emerging market participant in the gold markets of the gulf. We are proud to provide investor friendly schemes in bullion investments through our highly valuable trading platform apart from providing international brands in bullion products on our E-shop at comparatively low cost. Gold AE is a subsidiary of M/s Gold Holding Ltd, a Dubai International Financial Centre (DIFC) based company. M/s Gold Holding Ltd. owns various trading entities involved in online bullion trading of physical gold and silver, gold mining and refining industries as well as entities serving the financial institutions for gold logistics. The Holding company professionally supports its subsidiaries with financing, operational business management and controlling activities. This includes market sectors such as gold industry, information technology, as well as financial investments. Notable is the website’s description of its executive management, which presents Abu-Alhaj as Chairman and Managing Director. Keep that in mind because it will be important shortly. Gold Holding Limited is an investment holding company headquartered in Dubai and registered under the laws and regulations of the Dubai International Financial Centre.Gold Holding is a thriving group that is constantly seeking new companies to join its growing portfolio of precious metal and mining companies. It does however have stringent ethical values that mean its procurement methods are always of the highest moral standards and it is highly selective in where it chooses to operate. Basically, if Gold AE is the Turkey-focused trading front, Gold Holding is the mothership which deals with all major activities behind the scenes. This becomes immediately obvious when looking at the main shareholders and management team of the Holding company. Please bear with us a few more minutes as we close all these semingly unconnected loops of ownership, because while most other names presented so far are largely meaningless, one name above stands out, that of Sheikh Sultan Bin Khalifa Bin Zayed Al Nahyan. Sultan is the advisor to the President of UAE, the eldest son of Khalifa Bin, President of the United Arab Emirates, Supreme Commander of the UAE Armed Forces, and Ruler of Abu Dhabi. Sultan was promoted to the rank of lieutenant colonel staff pilot in 1999 and then to the rank of colonel staff in February, 2000. He is the advisor to the president of the UAE, Khalifa bin Zayed, and the board chairman of the SBK Holding. He is among the board members of the Executive Council of Abu Dhabi. He was appointed the board member of the Abu Dhabi Investment Authority for three years in April 2013. Basically, Sultan is the second in command in the United Arab Emirates. A quick glance at the company’s website shows that it is involved in virtually everything, and among the things it is involved in, is a vast gold trading empire courtesy of the Gold Holding company. Mohammed Abu-Alhaj is the owner of Gold.AE, a gold trading operation, whose primary role has been facilitating gold trade in Turkey (and ostensibly, since it is the primary Dubai gold company involved in Turkey, was the dominant player in Turkey’s smuggling of gold to Iran). All of this brings us to today, and the following letter which the suddenly very unfortunate clients of Gold.AE aka “Your Gold Bank“, just received. Following this, in august 2015, Mr. Andre Gauthier has been appointed as the manager of the Company so that investigations continued and once completed necessary action can be taken to secure the interests of the clients and shareholders of the company. His appointment took effect from August 9 ,2015 . When he took over, new management realized that he now had access to more information concerning the activities of the previous management and, he realized that there had been substantial withdrawals from the company’s account to the personal accounts of some of the management and the majority shareholders. Management has also uncovered information with respect to the existence of a bank account with Arab Bank (Switzerland) Ltd in Switzerland in the name of the Company. An attempt has been made to approach this bank but, since none of the current management or minority shareholders are signatories to the account and, due to the stringent Swiss banking laws and regulations regarding confidentiality, no additional information or access has been provided by the bank. Then again, we doubt that any money parked by the fraudulent management team of Gold AE will ever be uncovered, if only in the public realm: after all, the tentacles of this particular scandal stretch very far, so far that anyone who dares to talk will not live to say much more. Let’s summarize once again: a gold-smuggling scandal that took place under the nose of the US and the international community for years, one which allowed Iran to skirt international sanctions using gold as a barter tool to keep its economy going and involved China and Russia among many other nations, and one which saw the participation of not only the economic and prime ministers of Turkey (and current president) but also countless corrupt Turkish politicians and the richest person in Iran, but also the second most powerful person in Dubai, the largest holding company in the Arab Emirates and the largest gold holding company in the Gulf state. A scandal which resulted in untold riches for everyone involved, and has also resulted in the Dubai management team disappearing with what may well be billions in stolen funds. And, naturally, there is a token “anonymous” Swiss bank to boot, which is likely the resting place of said stolen billions. All of this it is real, it happened, and is not the screenplay of the next James Bond movie. And – the punchline – it all revolves around one of the simplest products known to man: gold.